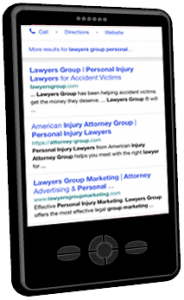 We spend a large percentage of our Internet budget on mobile advertising. 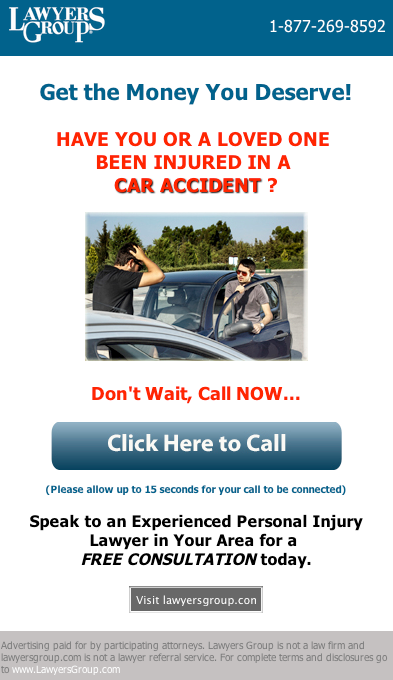 We have click-to-call ads on Google, Bing and Yahoo that lead injury victims to call immediately and directly connect with our attorneys. 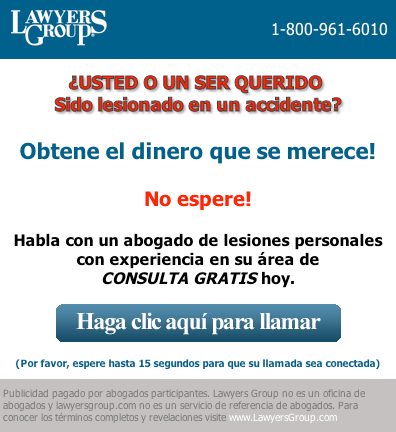 We also have specialized mobile landing pages to prompt victims to click the call button on the landing page to speak to an attorney. Lawyer Near You For Free! 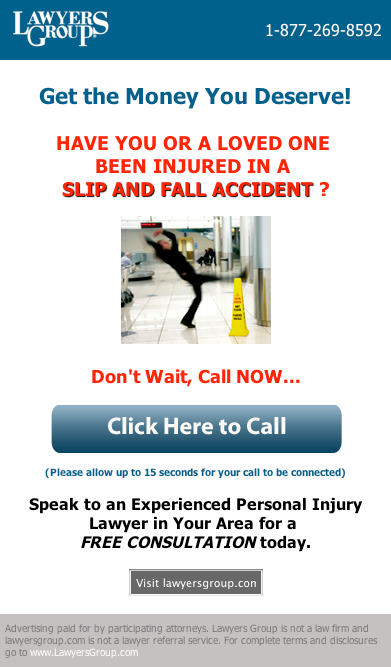 Speak To A Local Injury Lawyer Now.